Will sites like Ello ever replace Facebook? Social media guru Gary Vaynerchuk doesn’t think so. On a recent episode of his #AskGaryVee series of question and answer videos on YouTube, Vaynerchuk answers questions about the new social network. For those who haven’t yet heard, Ello is an invitation only — for now at least — social network that has set itself up as the anti-Facebook in many ways. 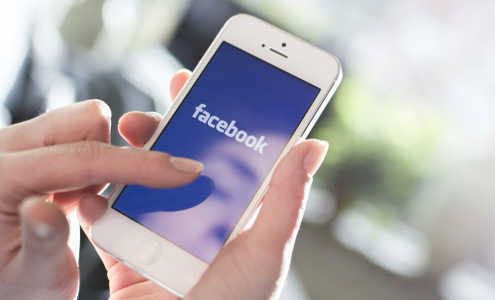 The site has promised not to sell advertising and never to sell its members’ data as Facebook has. BizSugar member Martin Lindeskog shared Vanynerchuk’s video after a great deal of discussion in the BizSugar community recently about Ello and its implications for online business. So why does Vaynerchuk suspect Ello won’t have the appeal that others seem to think it will? Well, for one thing, Vaynerchuk argues that in practice people won’t be willing to pay for the service just to keep it ad free. Ello already apparently charges for some premium features as do sites like LinkedIn. But Vaynerchuk suspects it will eventually need to charge more to establish a viable business model. Also, Vaynerchuk says he believes people aren’t as upset about personal data and advertising as they claim. Vaynerchuk goes on to argue that people don’t mind marketing when it is well targeted and takes the form of content instead of just ads. In the video, Vaynerchuk also discusses approaches for Instagram and whether there might be such a thing as sharing too much on social media. Thanks again to Martin Lindeskog for sharing this content with the BizSugar community. You can share videos and other online content on BizSugar too, if you’re already a member. Or sign up for a BizSugar account to start contributing today. It’s free. Well written article. I actually agree with the video. I don’t necessarily mind adverts, as long as their TARGETED to me and my specific interests. And no, I don’t think that I’d want to “pay” anyone just to be apart of a regular social network. Now if it was a network of millionaires and successful biz ppl, that would be different seeing that I could potentially build beneficial relationships with the members. But just a network of regular folk, I’ll keep my coins in my pocket. Intuitively, I think I would tend to agree. It’s hard to read the future. But if people did have a problem with being targeted by advertisers in return for a free service, the success of the mainstream broadcasting industry would be a bit hard to explain. But I think you’re also right about your other point, that if you see value in a service, you will tend to pay for it. The example you give is a great one. And for those who were about to point out that the existence of the cable industry negates my first point, remember that cable built its business model on delivering either premium content people could find nowhere else or on delivering basic television and radio reception people could not get otherwise. In short, the biggest problem with a premium social network is that there are so many free social networks to choose from. Shawn: The Netropolitan Club I mentioned in an earlier comment, is a ad-free social network. The initiation fee is several thousands of dollars. Nora Young of CBS Spark is bringing up some other related topics in her latest podcast, such as “ad tracking” and “hacking online marketing”. Of course, if social media is a utility (like cable or water) there is some precedent for asking customers to pay. The question is whether it really is and whether it really delivers something people can’t live without. Thanks for sharing. It sounds pricey, but I’m gathering some think it worthwhile, and that’s the point. The question is, how many people would simply stop using Facebook if suddenly it was no longer free? Heather: You are welcome. Yes, it is a bit too pricey for me! 😉 I think many will stop using Facebook if you have to start paying for it. Thanks for the comment. Advertising doesn’t bother me. I’m not that crazy about people selling my data personally but then there are ways to minimize that. And I’m with you. A social media site would probably have to have something I really valued before I’d pay for it.